Silly stuff happens to me all the time, but rarely is it something so well-timed as to be freaky. I had literally (and I know how to use that word properly) just finished reading that, when I heard a click, like something very small had dropped onto the wood floor near the chair where I was sitting. I looked down, near where Jethro lay. He was also looking at what had made the sound. IT WAS ONE OF HIS TEETH. It does help to explain why he was extra cranky and complainy last night. This entry was posted in JETHRO, Littermates. Bookmark the permalink. 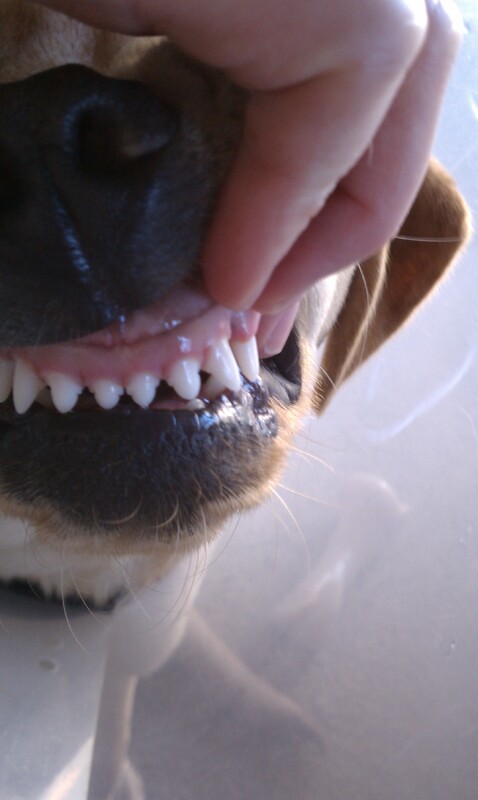 Heh, neutering leads to losing baby teeth. Who knew?